LIA is a non-profit residency programme that fosters artists internationally by providing them with spacious studios and cultural support, as well as opportunities to exhibit at the Spinnerei. The programme links young artists with the regional art community. LIA offers a wide audience access to the making of art and its creative process by giving the opportunity to experience a place where art is reflected and created. In this way LIA aims to build a more personal connection between the artist and the audience encouraging discussions about art in the artists actual studio. Guest critics and artists are invited to contribute to these discussions and visit LIA studios. In the past years the programme managed several exhibitions abroad amongst New York City, Paris, Marseille, and Madrid. It even enabled residents to show with other galleries such as Gallery EIGEN + ART. LIA enjoys fruitful partnerships with international art institutions such as The New York Academy of Art and School of Visual Arts New York City. Together, alongside the programme’s main partner BMW and our cooperation made it possible for over 150 artists from over 40 nations to take part in the LIA programme since 2008. Amongst others the artists were from Australia, Ethiopia, China, Puerto Rico, USA and the Ukraine. The Department for European and International Cooperation, Leipzig enabled us to extend our hospitality to Italian, French, Ukrainian and Ethiopian artists from our partner cities Bologna, Lyon, Kiev, and Addis Ababa. Leipzig’s Lord Mayor, Burkhard Jung, is our patron. LIA is a not-for-profit art institution. Its aim is to create a unique work space and platform for cultural exchange. The programme is open to every nationality. Our studios are located in »Hall 18« with ample living and working space. A shared project room in front of LIA studios serves as discussion and exhibition space. LIA functions within an already existing artistic and cultural network, generated by the atmosphere of the Spinnerei in Leipzig. Currently around one hundred twenty artists live and work in the cotton mill, where the not-for profit organisation Hall 14 organizes regular exhibitions of social relevance, and where nine local and international galleries such as EIGEN + ART or Gallery Dukan from Paris operate. Leipzig offers a strong artistic community as well as ample art institutions. The Spinnerei (1884) is a unique creative work space of a former cotton factory. LIA is implemented in a structure of art institutions and art studios. 83 sqm furnished studio spaces and 5 meter high ceilings to live and work in. 9 galleries, an art supply market, art institutions and etching studios on site. 1 h 15 min hourly to Berlin by ICE trains. In 1980 Mrs. Anna-Louise Rolland was born in Northern Germany on the Isle of Rügen. She lived for one year 1997/ 98 in the USA (Cincinnati) as well as Spain (Madrid) in 2000/ 2001 and has experienced a brought artistic education in the visual arts and music before she began to study at the University of Leipzig in the Art History and Cultural Studies Department in 2002. In the same year she became fellow of a federal scholarship programme for five years (Evangelisches Studienwerk Villigst e. V.). In 2004 Mrs. Rolland curated her first group show in the gallery Eigen & Art and spent seven month in New York City, where she passed two internships, at the ISCP (International Studio and Curatorial Programme) and the Brooklyn Museum of Art. When she returned to Leipzig she worked on a platform of cultural politics (Kulturpolitischer Salon) as well as Foundation Federkiel at the Spinnerei, the new artist district of Leipzig. In July 2006 she graduated with a Masters in Post-Communist Studies in Contemporary Art at the Courtauld Institute of Art in London. She studied Mandarin and worked for the Goethe Institute in Beijing 2006/ 07 then she passed her Masters degree in Cultural Studies at the University of Leipzig. 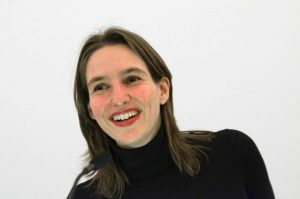 In June 2007 she founded LIA – Leipzig International Art Programme, a not for profit institution and artist in residency programme to foster contemporary art and culture. In November 2007 Mrs. Rolland organized the institution’s first exhibition in cooperation with the Japan Foundation and the Japan Embassy of Berlin. Since then she hosted over one hundred and fifty artists from forty nations in LIA and curated exhibitions in New York City (Leipzig Calling, exhibition at the New York Academy of Art 2009), Berlin (Caps Lock Projects, LIA`s temporary project space 2010), Paris / Marseille/ Lyon (Goethe-Institut, Leipzig – Heldenstadt?, 2014/2015), Madrid (Goethe-Institut, Icónico, PHotoEspana, 2015), and Leipzig (Paradigma Blickwechsel, Tapetenwerk, 2015). Laura Bierau has been a “Leipziger” since 2002 and studied communication and media studies, Eastern and Southeastern European Studies and Tibetology at the University of Leipzig, where she graduated in 2013 as Magistra Artium. She gained professional experience as a student assistant at the Max Planck Institute for Anthropology in the field of internal communication and publications, worked as a tutor at the University of Leipzig and as an editor for a local newspaper as well as for various online media. She has been working in the Baumwollspinnerei Leipzig since 2010, including working for the Spinnerei archiv massiv and for HALLE 14 in the areas of cultural mediation, public relations, online editorial, exhibition and event organization and artist support. 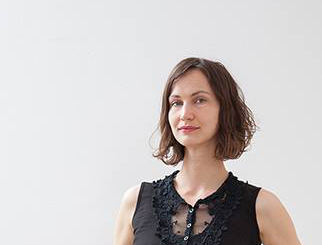 Since 2015, Laura Bierau is the LIA program coordinator and responsible for the support of the guest artists, for the content of the program, for the organization of the exhibitions and PR as well as contact person for visitors and art interested.